ITV Encore has commissioned new 10-part supernatural crime drama, Houdini & Doyle starring Stephen Mangan and Michael Weston. 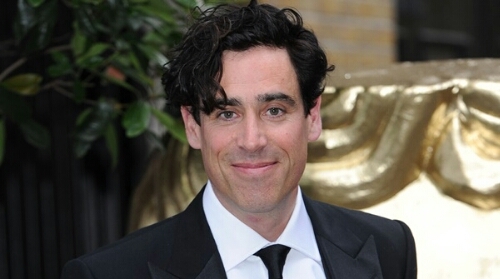 Stephen Mangan (Episodes) plays Sir Arthur Conan Doyle alongside Michael Weston (Six Feet Under, House) as Harry Houdini, two of the most fascinating and iconic characters of the early 20th century: real-life friends, real-life adversaries, real-life crime solvers. At the turn of the 20th century the Metropolitan Police, mired in the ways of the 19th century, were overwhelmed with bizarre and often inexplicable cases so they turned to outsiders including, Houdini and Doyle, who collaborated with New Scotland Yard on some unsolved and inexplicable crimes, leading to conflict… and humour… and competition. Canadian actress Rebecca Liddiard also stars as Constable Adelaide Stratton, whose character in the series is the first female PC ever to work for the London Metropolitan Police Force, Tim McInnerny plays Inspector Horace Merring, and rising star Adam Nagaitis as Sergeant George Gudgett. The drama is a UK/Canada co-production from Big Talk Productions and Shaftesbury in association with Executive Producer and House creator David Shore’s production company, Shore Z. David Hoselton, and Canadian screenwriter David Titcher will pen the series with Stephen Hopkins (24, Californication) as lead director. Houdini & Doyle begins principal photography in Manchester and Toronto in Summer 2015 for transmission in 2016 on ITV Encore in the UK. The series will also air on Global in Canada and Fox in the US.